Spanish School, Yoga & Surf Resort - Montañita, Santa Elena Valoracion media: ★★★★★ 5 basadas en 4 Criticas. A surf camp and language school with hotel accommodations and a full service restaurant and bar. We offer surf, spanish, yoga, and fitness classes for students of all levels. Every guest is a part of our family, and we do our absolute best to ensure you have the vacation of a lifetime. Our property is conveniently located on the hillside of Montanita, close to the center of town, just two blocks from the beach. 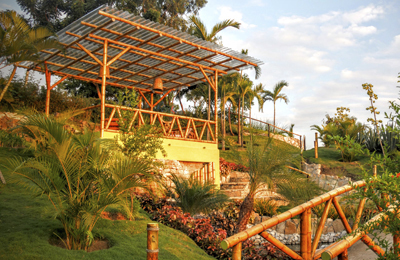 Our facility boasts a variety of green areas and beautiful gardens, with palms, flowers, fresh fruits and vegetables. We maintain a hammock and lounge area, a shared kitchen and dining room, and an infinity pool with the most amazing ocean views. 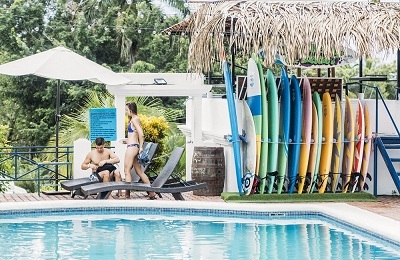 Las Tunas Beach Surf House - Ayampe, Manabi Valoracion media: ★★★★★ 5 basadas en 4 Criticas. Escape from the cold winter and explore the best surf spots of Ecuador’s coast! This 14 day course is designed for all skills levels from beginner to advanced surfers and each student receives detailed coaching and careful supervision to achieve personalized goals. Located 40 meters from the Pacific Ocean, surf students will have quick access to the best waves every day, providing enough experience to turn an intermediate surfer into an expert in no time! Montañita Beach Surf Hostel - Guayaquil, Santa Elena Valoracion media: ☆☆☆☆☆ 0 basadas en 0 Criticas. Montanita Surf Hostel is in the heart of Montañita town. A nice place with perfect waves for all levels and good vibes and amazing people from around the world. 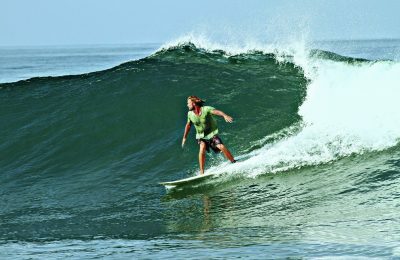 Surf in Montañita is famous, in fact this village is know as "the surf city" in Ecuador. A charming fishing and bohemian village plenty of bars and restaurants, streets full of energy, fun, handicrafts shops, nice beaches and music. .....Montañita is a highly recommendable!